Little Jack just popped out of the womb, and you’re probably worried about him sleeping through the night — and also paying for his college. Or it could be that Jack is about to start kindergarten, and you’re thinking about saving for college. We can’t blame you. The state of student loan debt is crazy, and you want to prepare your precious offspring — maybe because you’re still trying to pay your own student debt off. It might be time you look into college savings plans. One of the most popular college savings plans is the 529 plan. Already feeling puzzled? We’ve gotcha covered. What’s a 529 College Savings Plan? A 529 college savings plan is a tax-advantaged investment account, so it can grow tax free and you can take money out tax free. Legally, they’re deemed “qualified tuition plans,” which are sponsored by state governments — in all 50 states plus the District of Columbia. Each state offers at least one plan, and there are no income restrictions or annual contribution limits, though each state has a lifetime contribution limit, which ranges anywhere from $235,000 to $511,000. Does that amount of money sound daunting? (I agree.) But 529 college savings plans aim to make it a little less so. You can start a 529 plan for your kid at any time, so it’s never too late — unless they’re headed to college, like, tomorrow. There are two main types of 529 savings plans: prepaid plans and investment plans. A prepaid plan allows you to lock in the price of tuition. For example, here in Florida we have the Florida Prepaid College Plan. If you strike up a 529 savings plan this year, you’ll lock in paying the 2017 tuition rate — even when it’s 2035. However, your child must go to an in-state public school. How to Find The Best Fit: To find the best prepaid plan, search for them by state. Try visiting FinAid. Click the state you live in, and explore your plan options. Then there are investment plans, which The Wall Street Journal recommends, especially for those with younger kids. “With investment plans, you choose how you want to invest your funds and then you can use that money (and the earnings it generated) for a variety of educational costs at a variety of institutions,” the Journal writes. How to Find The Best Fit: Finding an investment plan that works for you proves to be more tricky than a simple Google search. Lots of online tools can help, though. Try using a site like CollegeBacker. The online tool allows you to set up a 529 investment savings plan — and makes it easy for family and friends to contribute. You’ll start by setting up your plan. Here, you can play around with some numbers, sans calculator or Excel sheet. For example, I type in my child’s name, Josie (OK, it’s actually my cat), who is 4 months old. I say I want to save for a public in-state (cat) university. Other options include public out-of-state university or a private university. CollegeBacker then recommends how much I should save — $73,700 by 2035. I can choose how much I want to contribute per month. It looks like $150 a month will cover 92% of my goal. It’s also interesting to see that my $150 a month (which will equate to $34,200) can grow to $67,500. Once you calculate your goal, go ahead and set up your future college graduate’s profile and build your team of friends and family. You can always check your progress on CollegeBacker and even change your contribution rate. Watch your 529 savings plan — and your child — grow. 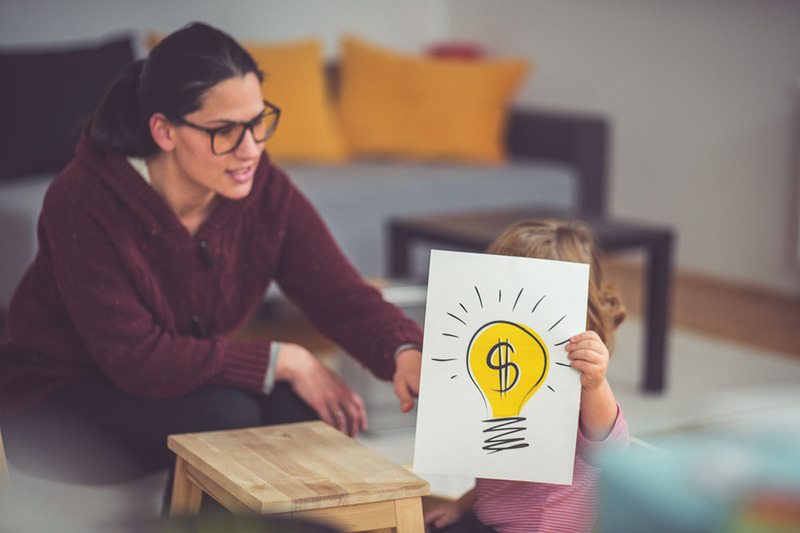 Determining which college savings plan is best for you and your spawn will be up to you, but if you want to dig a little deeper into 529 plans, here’s your guide. Carson Kohler (@CarsonKohler) is a junior writer at The Penny Hoarder. She works hard so she can give her cat a good life.